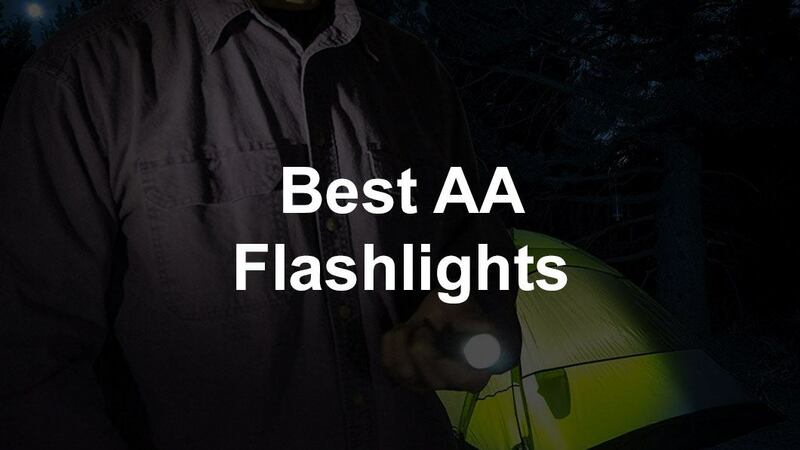 Since AA batteries are so common, it's a great idea to have the best AA flashlight handy. Most of them are so small that not only can you put one in your vehicle or bag, but you can even carry it on you. Whenever you are outdoors camping, fishing, or hiking, it is a shame to end the fun when the daylight hours end. That's where a good flashlight comes in to save the day. 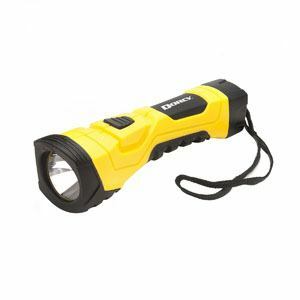 A reliable flashlight means you can find your way along the beach or trail even when it is dark. 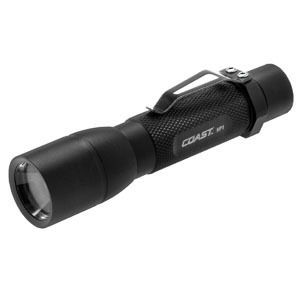 When searching for the perfect flashlight, there are many things to consider. A flashlight needs to be durable so that it will not break easily. Also, it needs to be easy to hold. And of course it needs to be easily powered and provide reliable light when needed. I researched all of the AA flashlights out there and rounded up the top 10 which are guaranteed to be the best in performance and price. 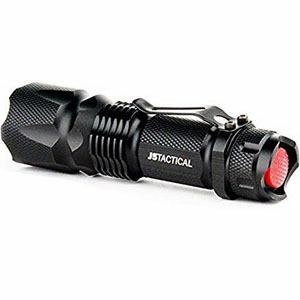 The J5 Tactical V1 pro is a light weight, easy to handle flashlight which can easily be carried in your hand or pocket. It has a range of over 600 feet and runs off a single AA battery. The light can be switched to different levels of brightness depending on your circumstances. This includes high, low, and strobe. I personally have this flashlight and have tested it thoroughly. It is by far the best single AA flashlight out there. On one AA battery, the flashlight can last 4 hours on high mode, 20 hours on low mode, and 9.5 hours on strobe mode. Not only did I verify the electrical current pull with a meter for the different modes, but I actually burned through some batteries to confirm the numbers. That performance is pretty dang impressive! 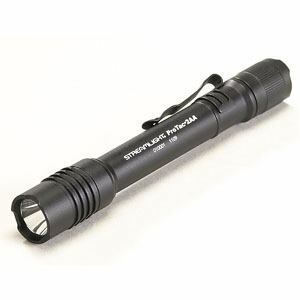 The Streamlight ProTac produces a large amount of light for its small size. Also, the flashlight will not be damaged by being accidentally dropped. It is made to last with an expected 50,000 hour lifespan. It comes with a number of accessories, including pocket clip, two batteries, holster, and face cap. This flashlight is the best 2 AA flashlight. The Dorcy Floating Waterproof LED flashlight is the perfect flashlight for fishing or boating. What makes it great is that the flashlight is waterproof. The rubber design will protect it if it falls on the ground or in the water. It also has the unique feature of being able to float. The LED light has four bulbs which means it can shine up to 31 meters. This light is very power efficient, lasting over eight hours before needing new batteries. 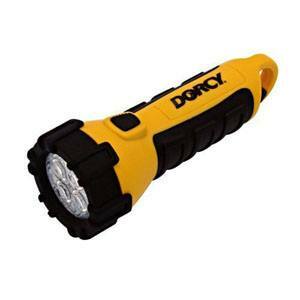 The Dorcy High Flux LED has a rubber coating giving the user the ability to grip the flashlight in wet or humid conditions. The rubber coating also provides shock absorption for heights of up to ten feet. It comes with four batteries and produces light up to 275 meters. The LED bulbs give dependable lighting for up to five hours on one set of batteries. The Coast HP1 is made of aluminium which increases its resistance to rusting and makes it light weight. Its size means it is perfect to carry on you for emergencies. The provided clip allows the user to clip it onto your belt or pocket so you know where it is at all times. The clip is also great for securing it in your tent to use as a ambient light. 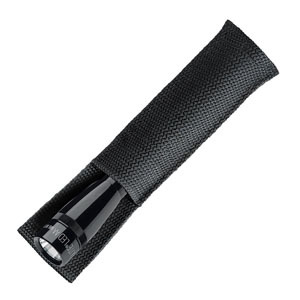 The Maglite Mini Incandescent is well-made with a seal included to increase the flashlights weather resistance. A replacement lamp is included so you can quickly change the lamp in the flashlight if broken or when it burns out. It can also be turned into a battery-operated candle and installed on your tent, freeing your arms to cook or to do other activities. 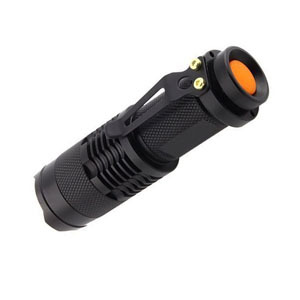 The Wayllshine Mini Cree is easy to use. This light has a simple push button to adjust the light’s brightness. The light’s strong, solid design prevents breaking. 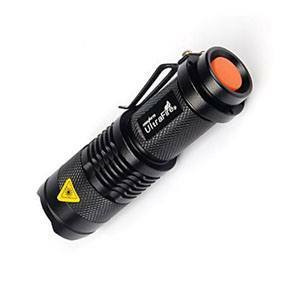 Using a single battery, this is a great small flashlight, which produces enough light to see short distances. 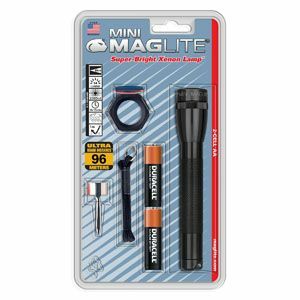 The Maglite Mini LED light provides a number of different light modes in a small and compact package. The modes include a high, a low, a blink and an SOS mode to gain attention in dangerous situations. The different modes prolong the battery life of the product. Designed and built in America, this quality product can be guaranteed to perform above the common flashlights. The waterproof seal prevents damage to the light in bad weather. The small size means it is handy and is easy to carry with you. It can be placed in your purse or pocket and taken out when needed. The Ultrafire SK68 is protected by an impact and water resistant rubber coating. Its beam is bright and strong with an adjustable focus. The light can be easily carried so you will always have a light if needed. Simply switch the light on and adjust the focus within seconds. The three modes provide perfect lighting conditions. If you want to look at something up close or see further in front of you, it only takes a push of the button to meet your needs. It is definitely the brightest AA flashlight in the list. 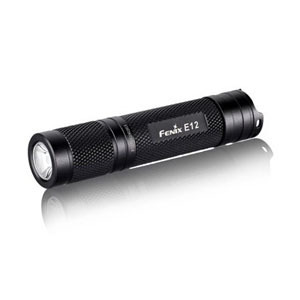 The Fenix E12 has a solid design which holds up against bumps and scrapes. 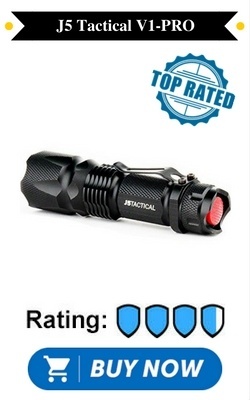 If you need reliability and quality, this is the flashlight for you. It uses a single AA battery. When the battery is low, the light fails in high mode warning you the battery needs to be changed. The modes are changed by a fast click allowing you different lights for your purposes. It is multipurpose with a candle mode to allow you to put the flashlight down when needed and still allowing you to have a steady light. These 10 flashlights can be used in various environments and conditions. Any one of them will be great for the activities you are planning. When you are in the outdoors, its necessary to have a good flashlight on you, especially if you plan on being out at night. It's also wise to keep a flashlight in your vehicle and your bag. That way you have a light handy when you need it. The great thing is that there are many flashlights that you can pick up for pretty cheap. That way you can afford to get a couple to store in different places. It's even more handy when they run on a common battery like AA. That way you will rarely be in short supply of the right batteries. ​If AAA batteries are your preference, I got you covered in a review for those flashlights too. And don't forget a handy keychain light.